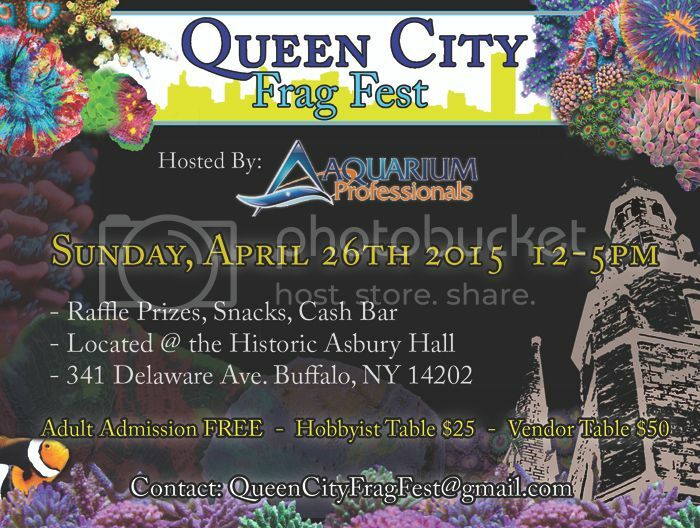 It's been awhile since we've hosted a great frag swap in Western NY, and in conjunction with Aquarium Professionals, I'm very excited to announce our first ever Queen City Frag Fest! 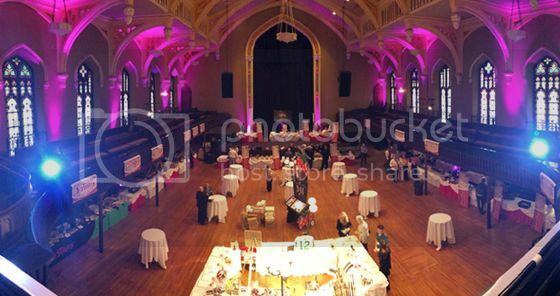 Admission/Vendors: General admission to the swap is FREE for everyone! For vendors, we are offering two different options for selling livestock: non-commercial hobbyists can purchase a spot for $25 which allows you 4' table space, 500 watts of power and up to a 40 gallon tank for livestock. Additionally, commercial vendors are able to purchase a 8x4' space for $50 (8' table provided) along with 1,000 watts of power and up to 80 gallons of aquarium(s). For either option, vendors will be allowed access to setup on the day of the event at 10:00am (earlier setup is not available, sorry!). 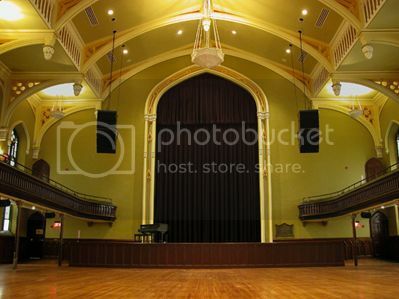 If you are interested in reserving space, please send an e-mail to queencityfragfest@gmail.com and we will arrange your space. Swappers: We've registered our event on both FragSwapper.com as well as here on ReefTrader.com so you can converse with other hobbyists/vendors and get some really awesome pre-sale deals! Raffle Prizes: There will be a large and might we add very exciting chinese-auction style raffle for items such as all-in-one and reef-ready aquariums, LED lighting, salt and much, much more... stay tuned to this page as we will periodically post updates of what items will be raffled!